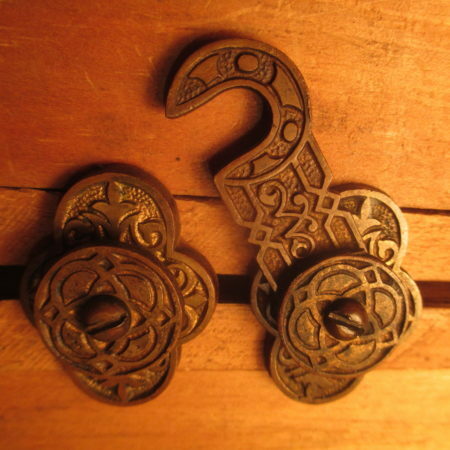 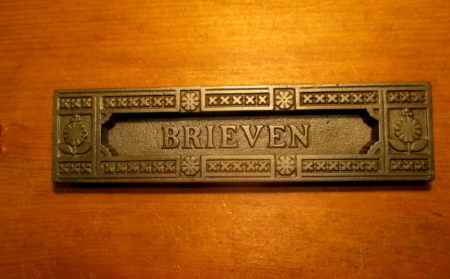 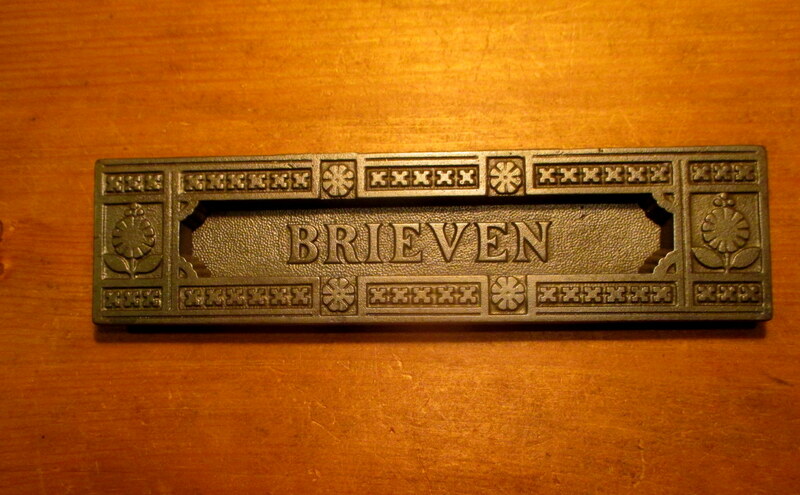 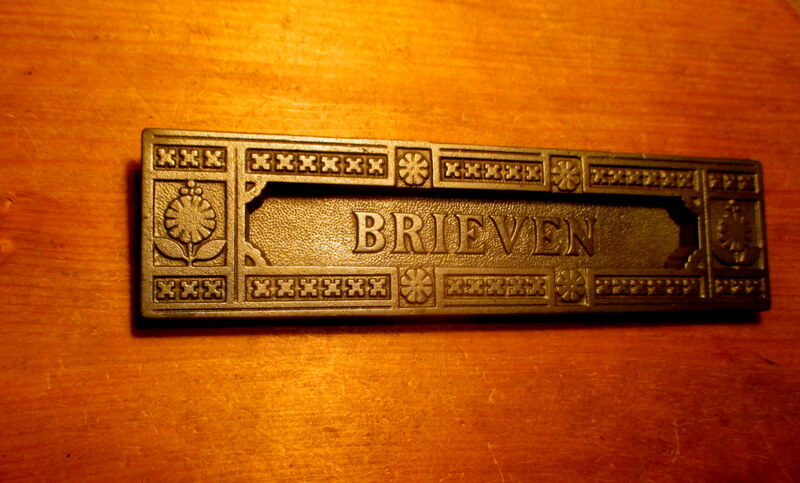 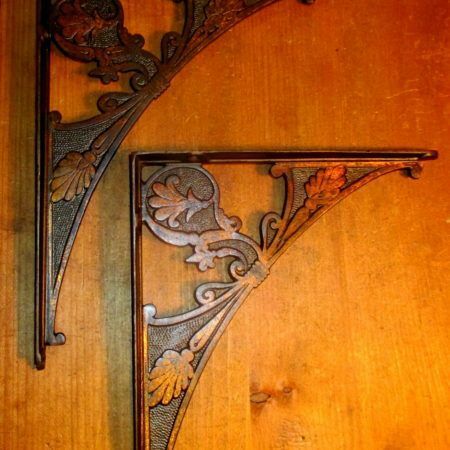 Rare large Iron mail or newspaper door hardware in excellent condition with the Dutch word Brieven translation in English ( correspondence or exchange of letters) . 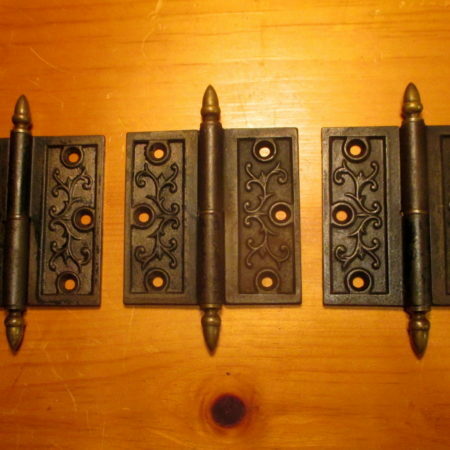 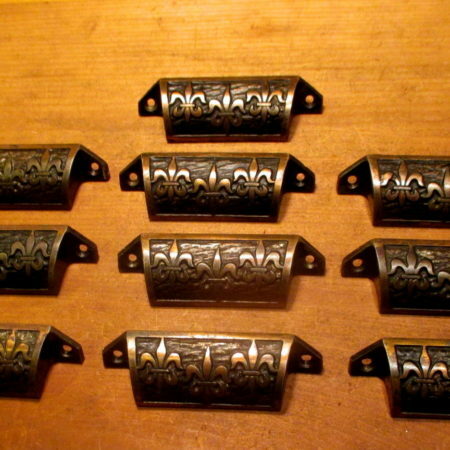 Possibly Sargent Hardware made many foreign language mail slot covers. 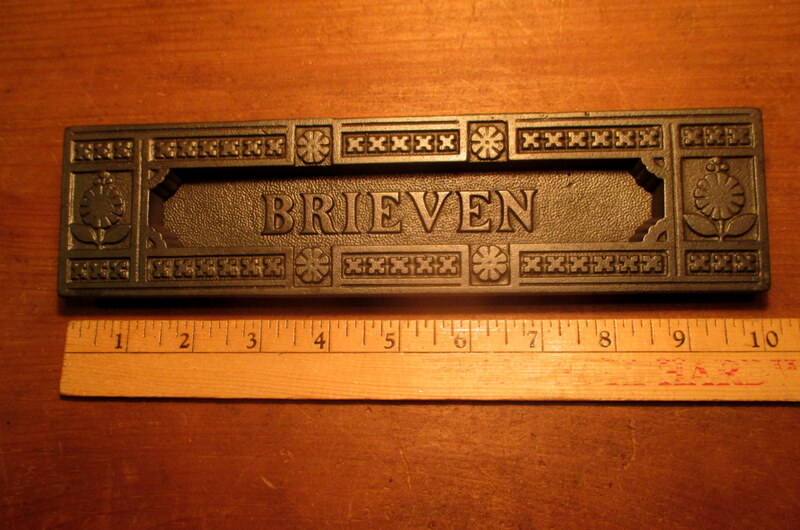 Measures 10″ wide x 2-1/2″, mail opening 1-1/8″+ x 7-1/4″.